Growing up in the home of self-employed parents, there is much about business that our children pick up without knowing it. However, there are some things that are just not as obvious. 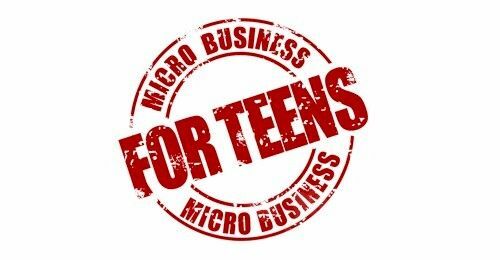 For these things, we are glad that we have had a chance to review Carol Topp’s Micro Business for Teens course. This curriculum is comprised of Starting a Micro Business, Running a Micro Business, and the Micro Business for Teens Workbook. The three books that make up this course are available in both print copies and e-books. Our family received the softbound books. The texts were between 110 and 140 pages each, while the workbook was about 100 pages in length. The fonts used throughout the books are of a large enough type that you felt that you were really reading a guidebook rather than a technical manual. Both Starting a Micro Business and Running a Micro Business were written with the student in mind. The practical nature of the information presented was ideal for the 10-18 year old students this course is intended for. The textbooks measure about 6″ X 9″, which fits nicely in the reader’s hands. The workbook is a full 81/2″ X 11″ size which makes completing the exercises in the space provided very feasible. The workbook contains some fill-in-the-blank format questions for the students to jot down critical information from the texts. Throughout other pages, charts, spreadsheets, and tables are effectively used in helping students to see how the information they are completing would be formatted in a true business environment. Starting a Micro Business and Running a Micro Business are available for $9.95 each in print form and $4.95 as ebooks. 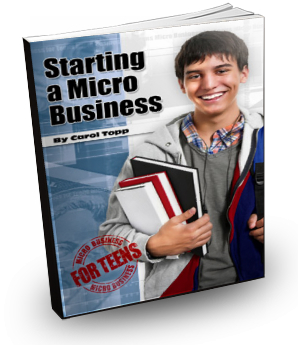 The Micro Business for Teens Workbook retails for $14.95 in print edition and $9.95 in ebook form. When it came to using Micro Business for Teens, I literally set our daughter loose with this curriculum to just see what would happen. Before I really reviewed the materials, I did think for a bit about how I would “grade” her work. The majority of the course is your child’s creative work within the parameters of the assignments. For those pages that require a specific answer from the reading, those answers are provided at the bottom of the page. There is no real good grading system for this curriculum as it really is the creative energy of the student at play. I intentionally stepped back when our daughter was working to not put any limits or parameters on what she was creating. The spine of the course is driven by the Micro Business for Teens Workbook. At the beginning of each chapter, the Workbook will direct the student to read any necessary pages in the two texts. It will also direct the student to any on-line videos that correspond to the course. After completing the assigned reading, the student then completes a series of pages in the workbook where they are applying exactly what they just read about. An outline of the topics covered in this course can be found here. Our daughter has been working consistently on this course 4 days per week for about 30-60 minutes per day. I would anticipate that she will complete the study in approximately 8-10 weeks. In the front of the Workbook, the recommended pace would be to complete one chapter each week for a duration of 14 weeks. As a business owner, I was very interested to see what would be presented in this course and how close to reality it would be. Would it be so theoretical that it was hard for our daughter to even relate it to our own home business? What we found was exactly the opposite. All of the basics of starting a business and getting it running smoothly is presented in such plain language that our 15 year old was able to immediately understand it and apply it. To help make this into a half credit high school course, we are assigning some different responsibilities in our family business that help to give her experience in the different areas discussed throughout Micro Business for Teens. Another option would be for the student to actually implement what they have created on paper. The additional hours spent in getting their business off the ground would easily fulfill the rest of the needed hours for a half credit elective. Several years ago, I taught a Business 101 / Entrepreneurship class at our local homeschool group. In having a business background, I was able to cover a lot of the same topics contained in this study. Having all of this information already laid out and assignments compiled would have been such a blessing rather than creating the wheel. For those that don’t have a strong business background, but would like to offer such a class in their homeschool group, there is a free teacher’s guide available through course’s website. This guide contains lesson plans, additional resources, and a map of how the Micro Business for Teens curriculum maps with the National Entrepreneurship Education Standards. I would recommend using this curriculum in a group environment. During the similar class that I taught, the students were broken into “Companies” that had to build their businesses on paper. Once the projects were completed, they presented their concepts to the parents in our group. Each parent was given one ticket to vote for the business he or she thought would be the most successful. Each ticket represented a $100 in seed money to help get the business off the ground. A similar good natured competition could be added on to the course content to fill a half year of instruction in a local homeschool group and be a whole lot of fun! The only recommendation I would have is in reserving this curriculum for students in middle school or high school. We have a 10 year old at home now. He would more than likely appreciate and understand the larger concepts in the study, but I doubt he has the breadth of life experience, development of gifts and talents, or a good handle on what things cost in the real world to be able to create his own micro business on paper as he would be walked through in this curriculum. All in all, I think that Micro Business for Teens is a wonderful addition to the resources being made available to the homeschool community. This would make a great half year elective course at the middle school or high school level either at home or as a class in a local homeschool group. As always, you don’t have to take just our word for it. 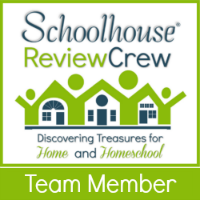 Check out what others are saying from The Old Schoolhouse Review Crew.